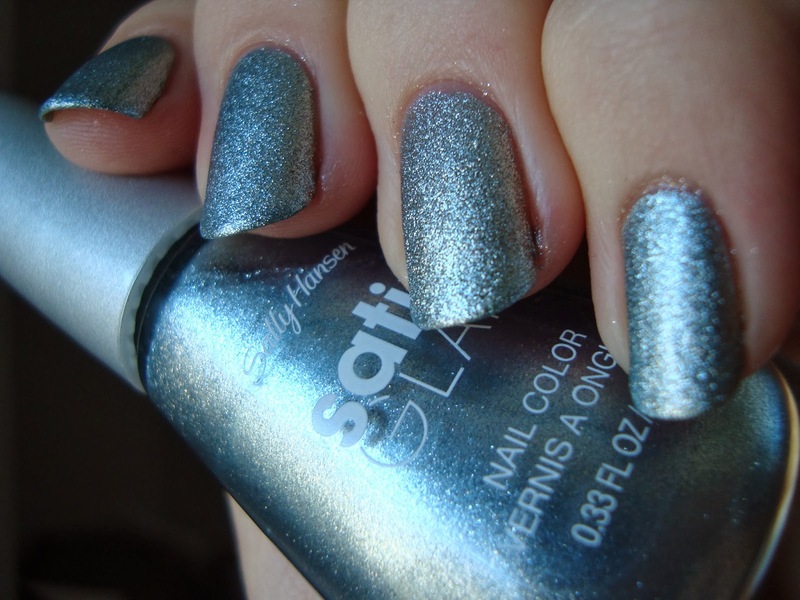 Sally Hansen's been a drugstore trendsetter for years, so it's no surprise that they're the first in their tier to have satins. If you missed it, I'm splitting my Satin Glam swatches up in pairs. Last week I showed you Crystalline and Taffeta, and now on to Metal Iced and Teal Tulle. I bought them at CVS, but they've started showing up really widely since. If you haven't found them yet, I'm sure you will soon...and I know you'll want to! 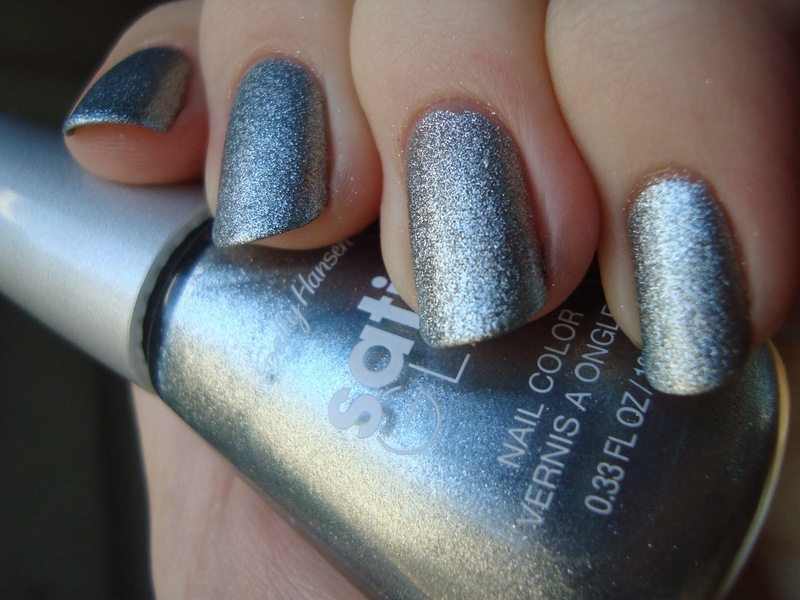 Metal Iced is a blue-toned silver satin-finish foil. I've said it before, but you can't fully appreciate satin finishes in photos. 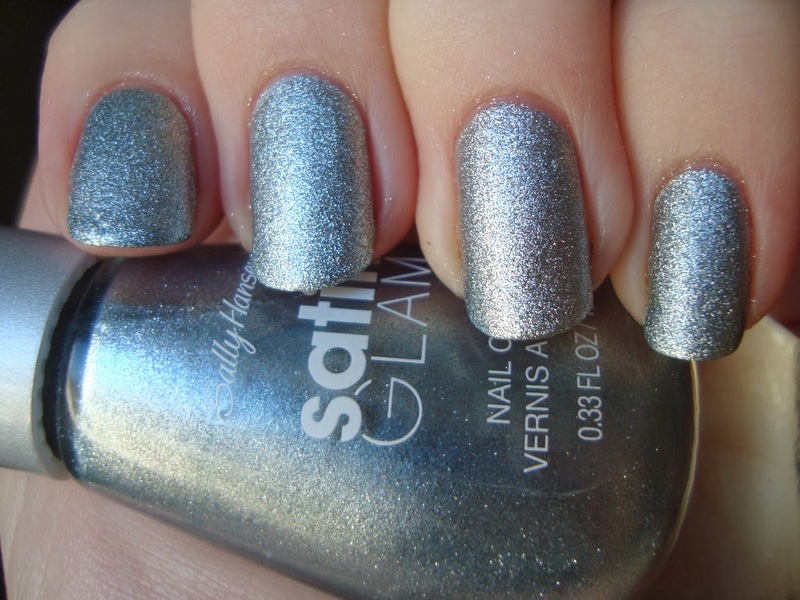 That goes double for satin foils like this. The effect is matte and shiny at the same time and absolutely stunning. There's also a faint blue tone to the silver of Metal Iced, which is cool. This is two coats. The only trouble I had with the formula was a few odd white chunks. You can see them just a little at the upper left of my ring finger nail. I top coated it, but it's just an ordinary foil this way. It's much better with its satin finish. I bought Metal Iced partly to compare it to OPI This Gown Needs A Crown. Side-by-side you can see what I mean about the blue-ish-ness of Metal Iced. For completion's sake here they both are with top coat too. With top coat it's got that foily dazzle, but not as much as the OPI. 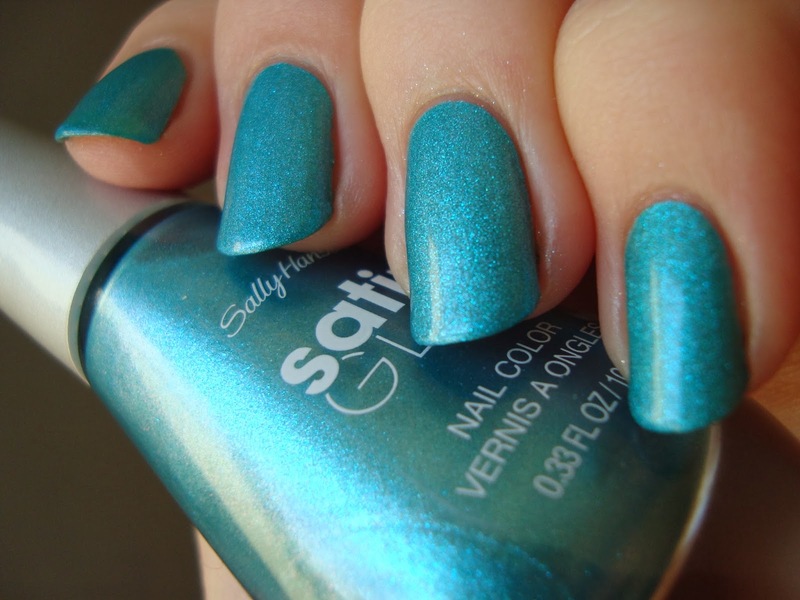 Teal Tulle is a bright teal satin shimmer. 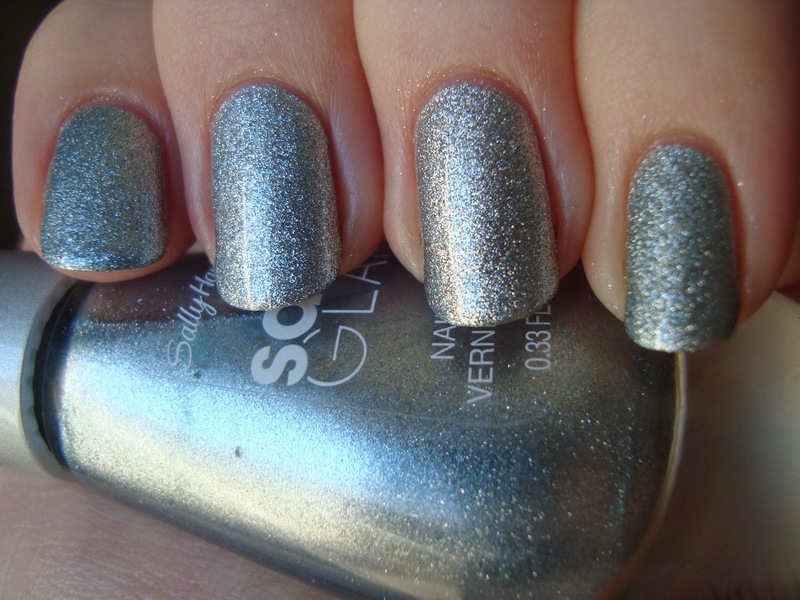 Two coats for this one too and it doesn't have any white lumps. The color's outstanding, but my camera turned me a bit yellow in contrast. It's more flattering in person than it looks here. At least the satin finish showed up really well in these photos. I'm still gonna say you need to track one down and see for yourself to really get what the fuss is about. 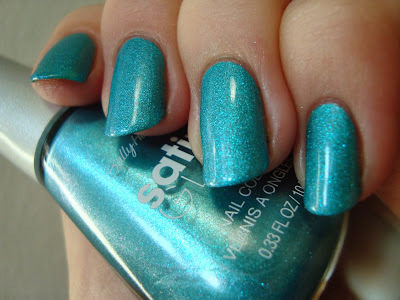 There's a ton of shimmer to Teal Tulle too, and in sunlight it bursts out through the satin finish. 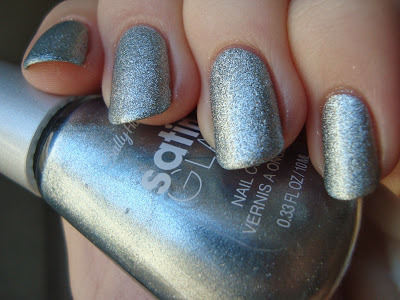 Top coat makes a much stronger difference on satin shimmers. 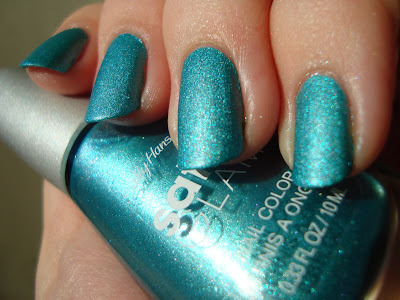 I'm almost tempted to say that Teal Tulle is even better with top coat because....that shimmer! I can't quite decide though. I'll happily just say that it's gorgeous either way. Of the four Satin Glam shades I've worn so far, Teal Tulle is absolutely my favorite. Bottom line: Teal Tulle is exactly what a satin should be and I love it! Metal Iced has some odd white lumps in it that I'm confused by. It's got a blue tone that sets it apart from other silver satins though. So...own any satins yet? Are you as eager for this finish to take off as I am? The teal one is the one I have fondled at the store about a dozen times. I need to just get it. Want a sale tho ! It looks beautiful in your pics !! Both of the colours are beautiful but the turquoise is amazing! I love how the finish is so unique and I can't wait to get my hands on these!